I'm just so excited I could almost burst...and I can't wait to tell you about it! Through the years our family's been homeschooling, I've created lots of materials that have helped our 4 kids successfully transition from high school to the world at large...college and an apprenticeship program. As I've been blogging here, I've offered some of them from time to time to my subscribers. But recently, it hit me: why not offer them ALL to you? I mean, sure, some materials require a little bit of context or explanation - and for those, I've started to put together self-paced classes that will help (think "teacher development courses"). Just perfect for a designated "teacher work day"! 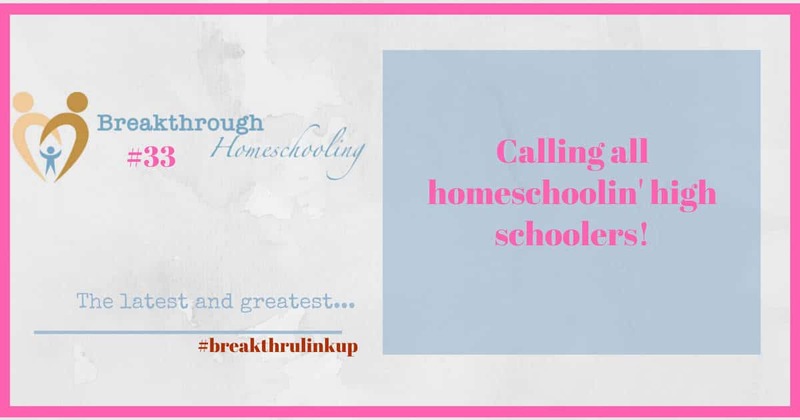 But, seriously, if I'm gonna "walk the talk" of my mission, then it seems to me that there's no reason NOT to lay my cards on the table and give you the tools you need to make homeschooling high school an amazing success - no matter how you define it. From time to time I get word of discounts and sales on tools and materials that would be helpful to high schoolers, and I'm always happy to pass them on to you ;-). Of course, I'm always working on some project or another, so you know that I'll be adding stuff as I come up with it (or you share a need with me!). 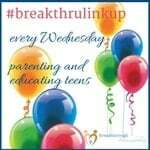 Subscribers also receive my weekly "Top of the Week Breakthrough" with encouragement and helps for parenting teens and homeschooling high school. 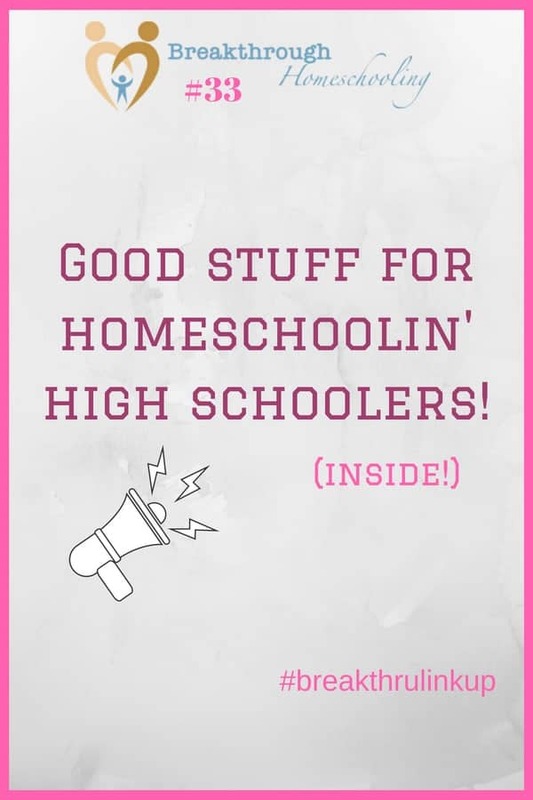 AND, last but not least, I've started a closed Facebook group just for my homeschooling high school "peeps", where you can ask questions and get answers in a monitored and safe environment - and of course I'll be sending out invites to that group to my subscribers, too. So, bottom-line, I hope you'll take me up on my invitation: subscribe today, check out the homeschool goodies I have to offer; stay awhile and get encouragement and inspiration on the journey. My oldest boy is starting high school in the fall and while I was a bit nervous about homeschooling him right through I know it’s the best thing for him and us. Thankful for any tips you share!